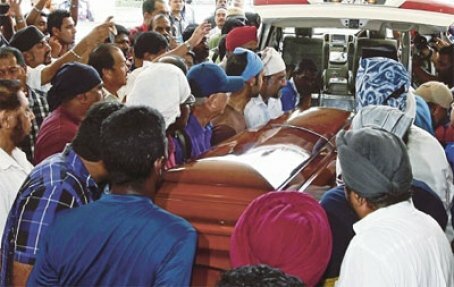 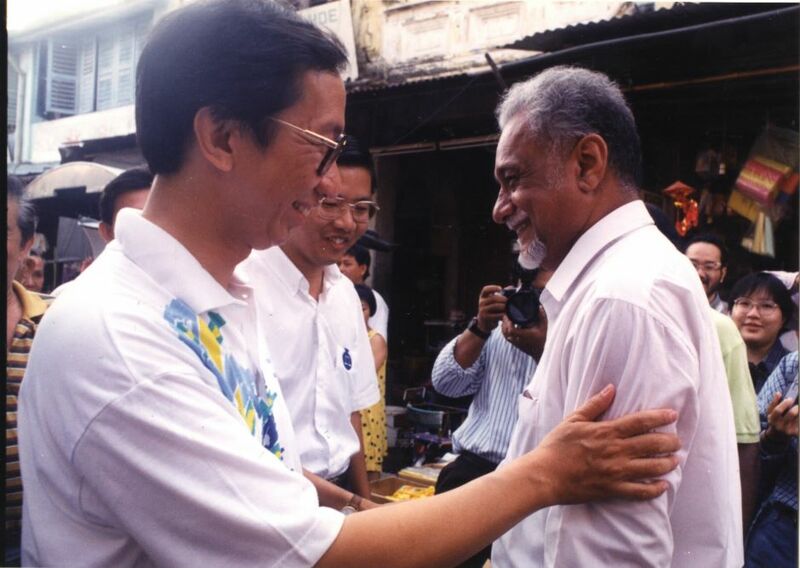 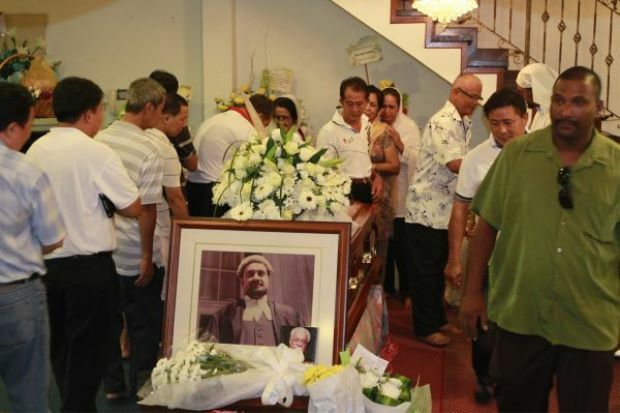 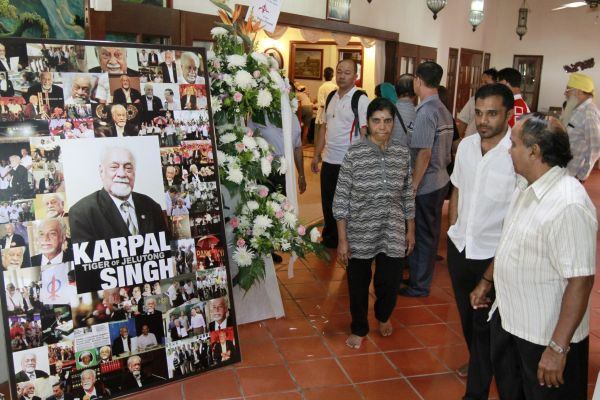 GEORGE TOWN, Malaysia - The ashes of DAP national chairman Karpal Singh were scattered at sea in the final ritual of his passing. 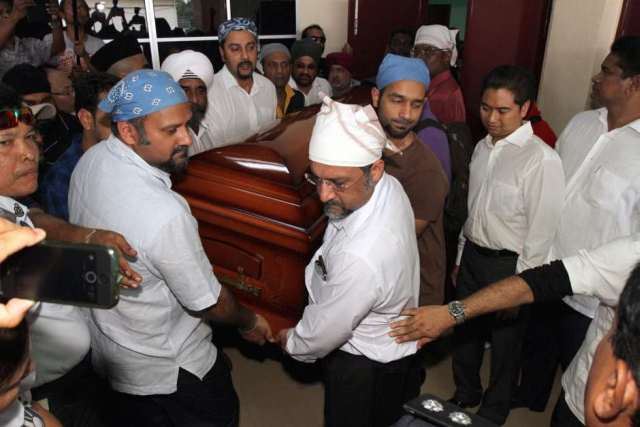 No further details were disclosed by his family members as to the location. 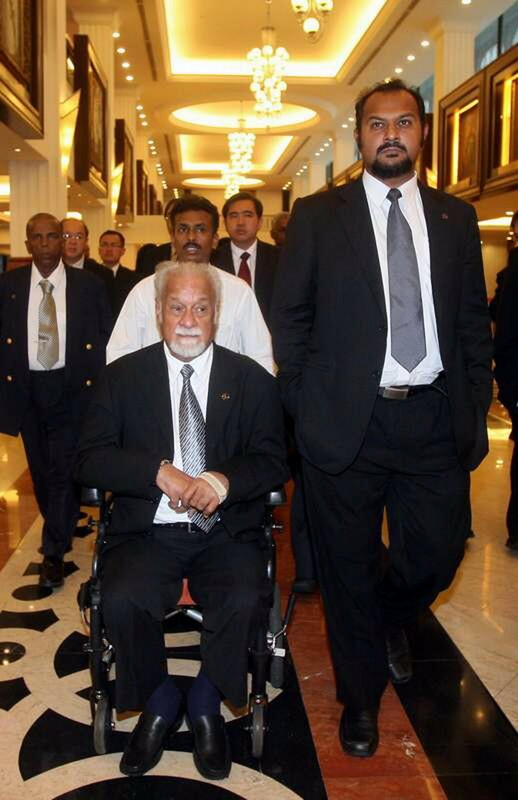 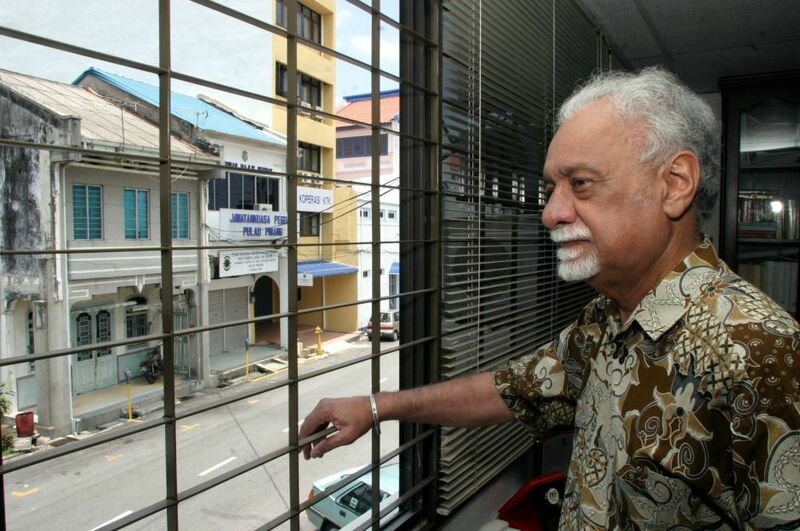 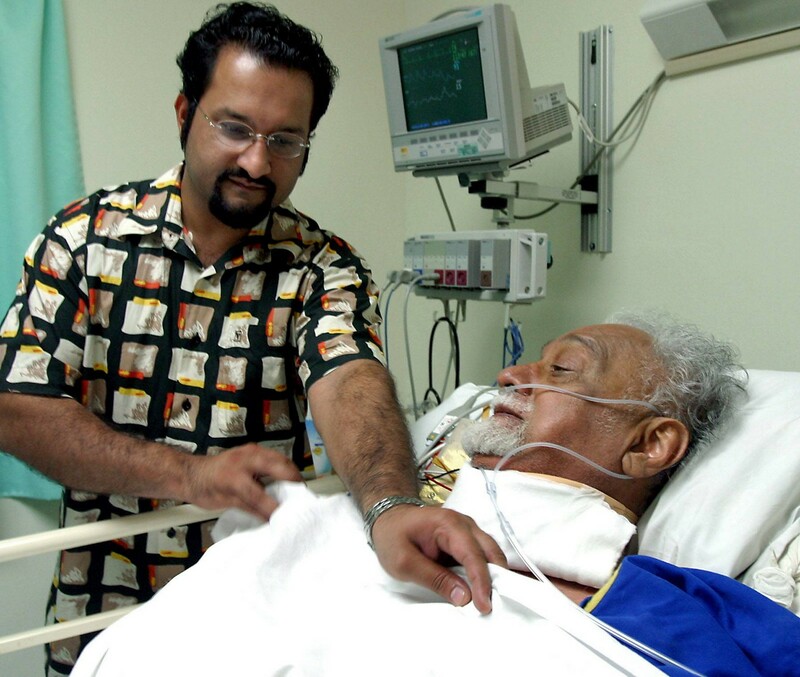 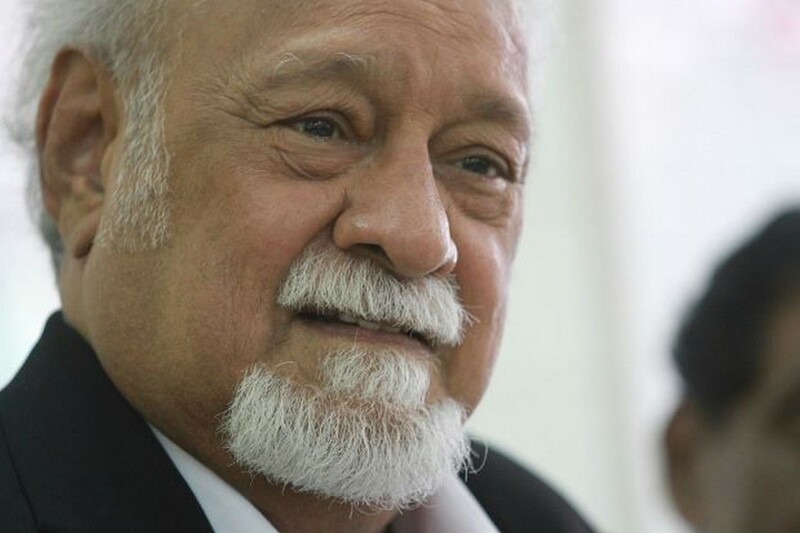 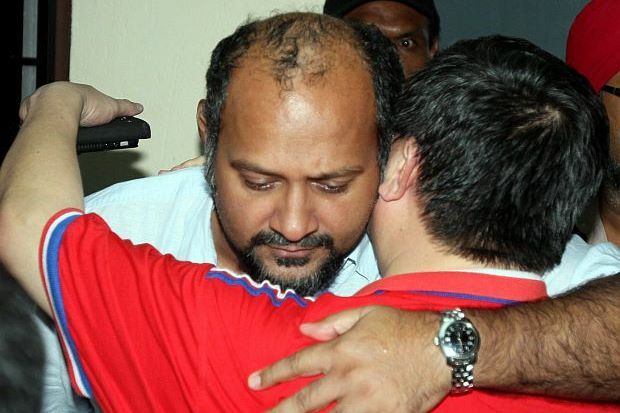 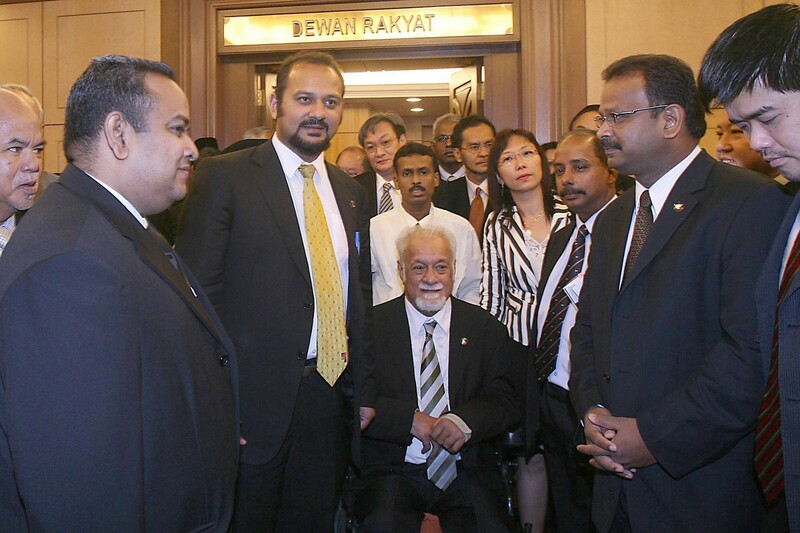 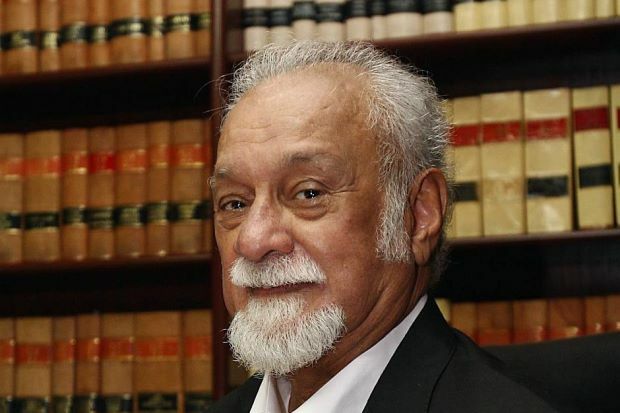 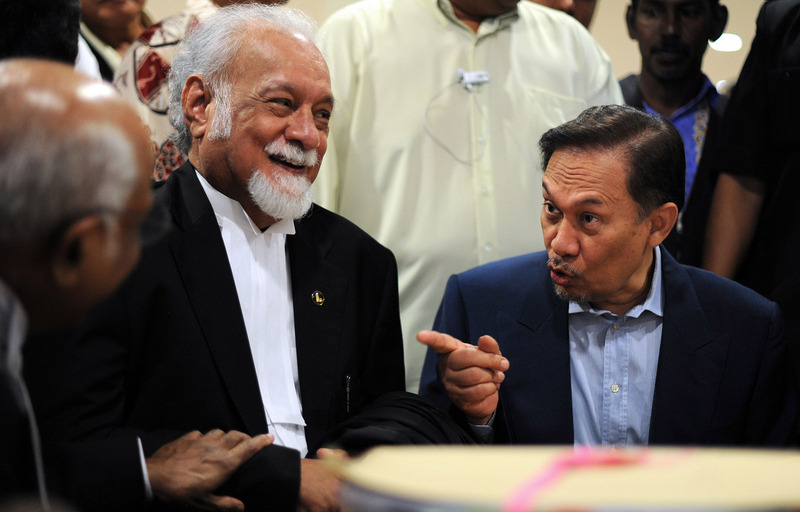 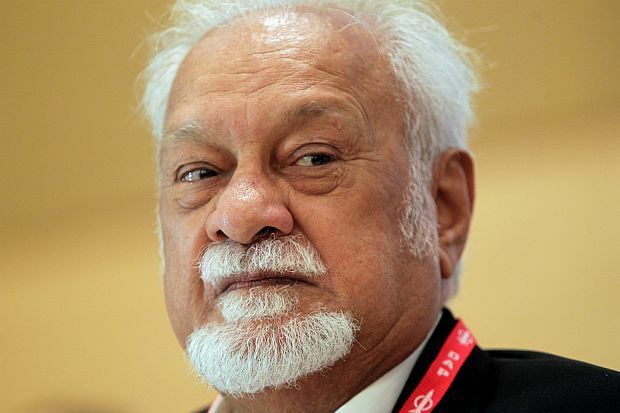 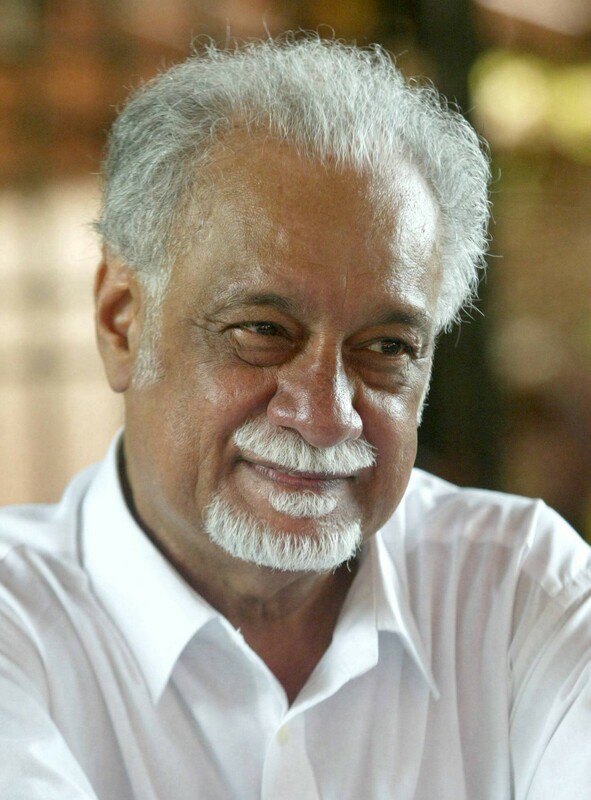 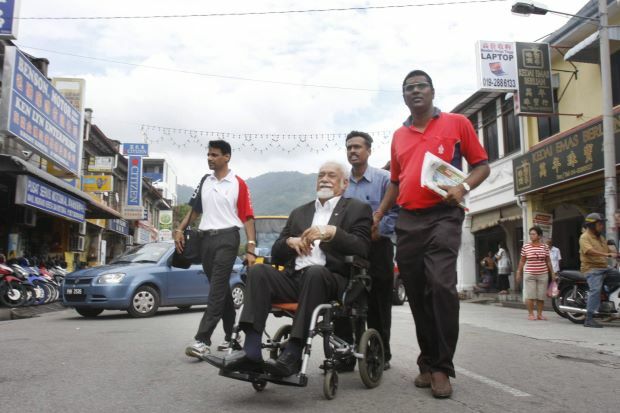 Karpal's son Gobind Singh Deo had requested for privacy for the event after the funeral ended on Sunday. 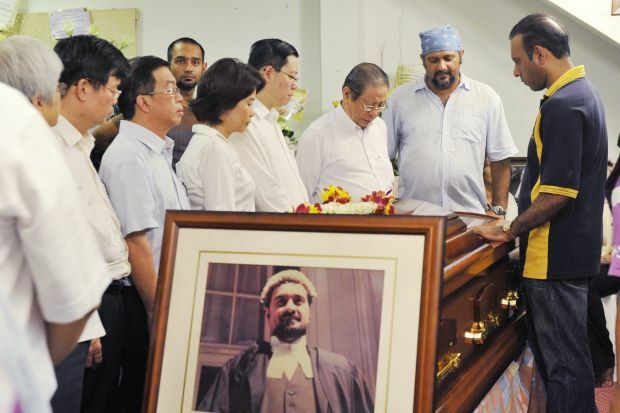 "We won't tell you where we are scattering the ashes as it is a very personal matter," he told reporters when met at the Batu Gantong crematorium yesterday. 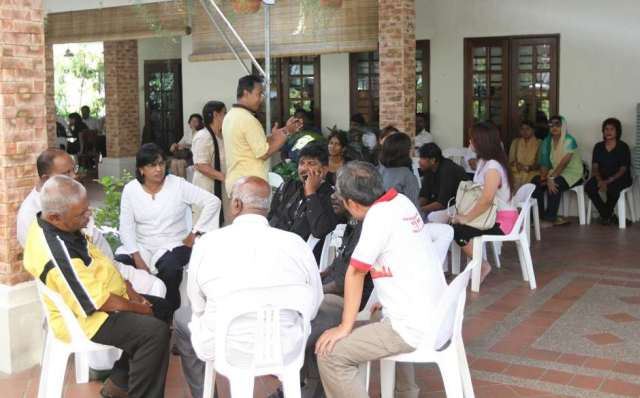 He also thanked them for their coverage and concern. 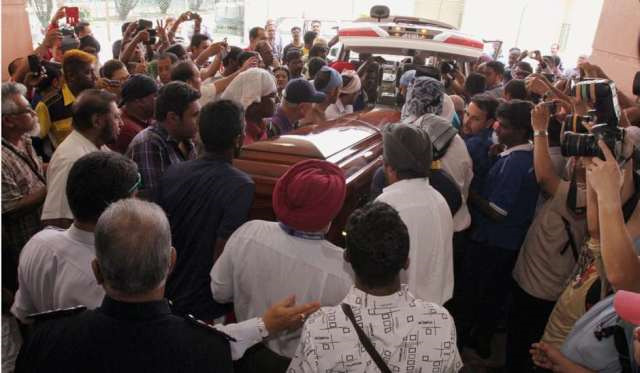 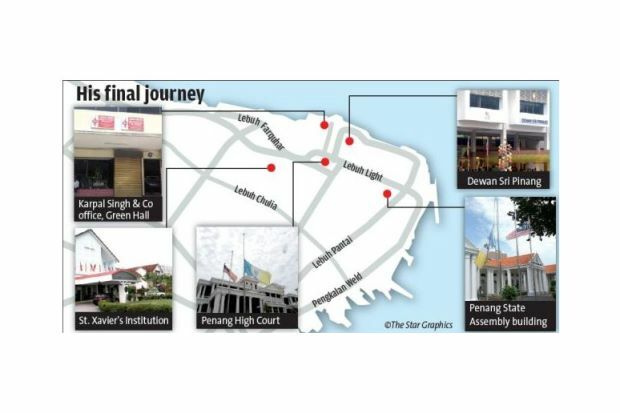 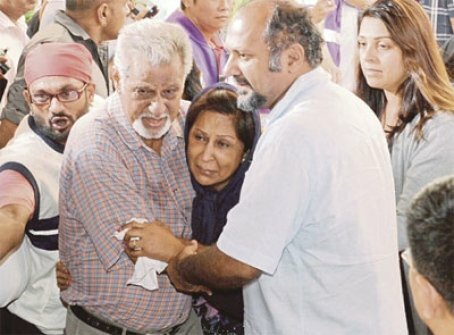 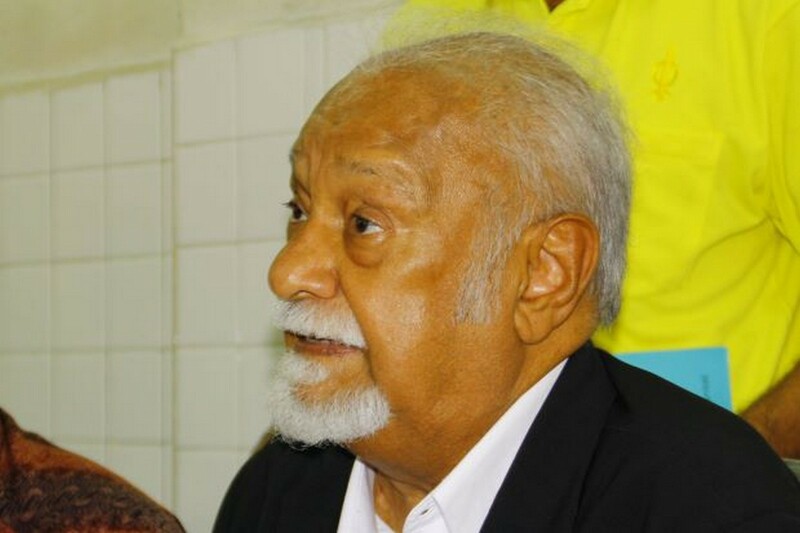 Family members of Karpal arrived at the crematorium at about 8.30am to collect the ashes before Gobind and his brother Jagdeep, who is also Datuk Keramat assemblyman and a state executive councillor, app­roached the reporters and asked them not to take photographs of the process. 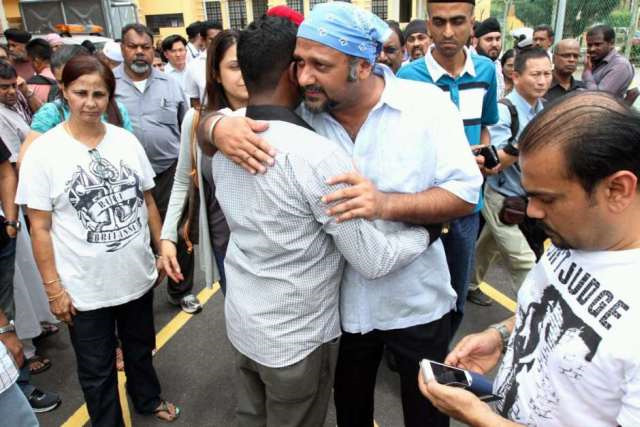 However, Gobind, who is also Puchong MP, allowed photographers to take pictures of the family members arriving and gathering at the site. 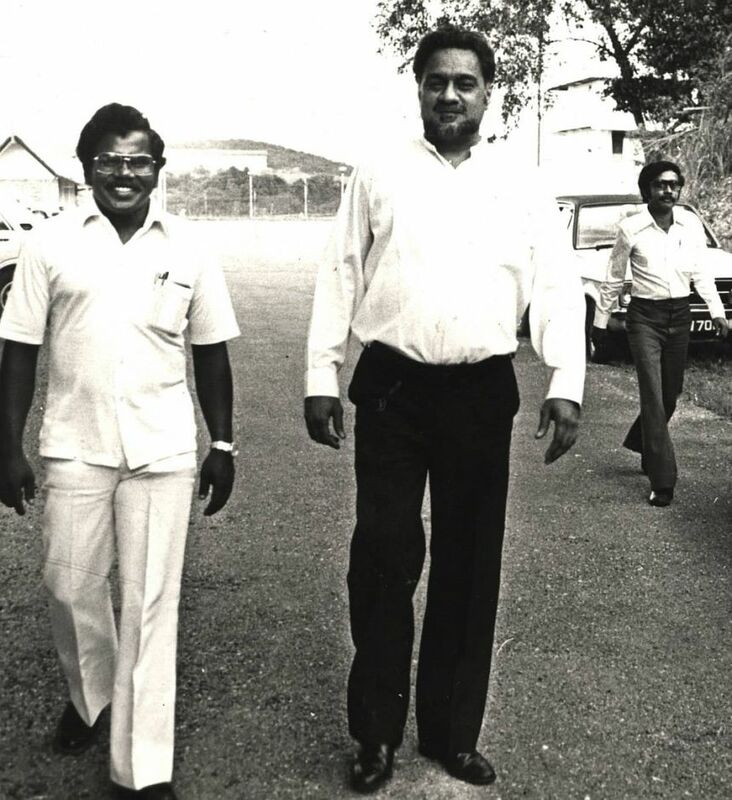 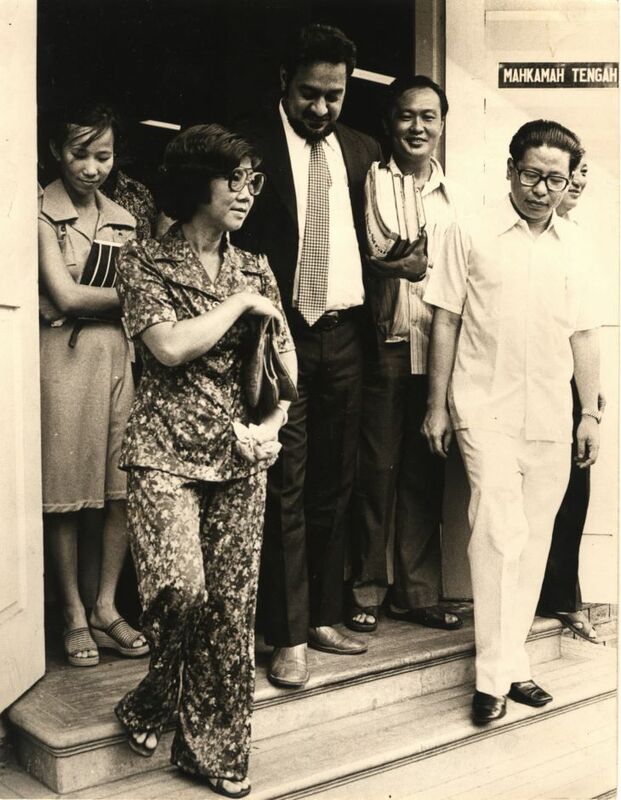 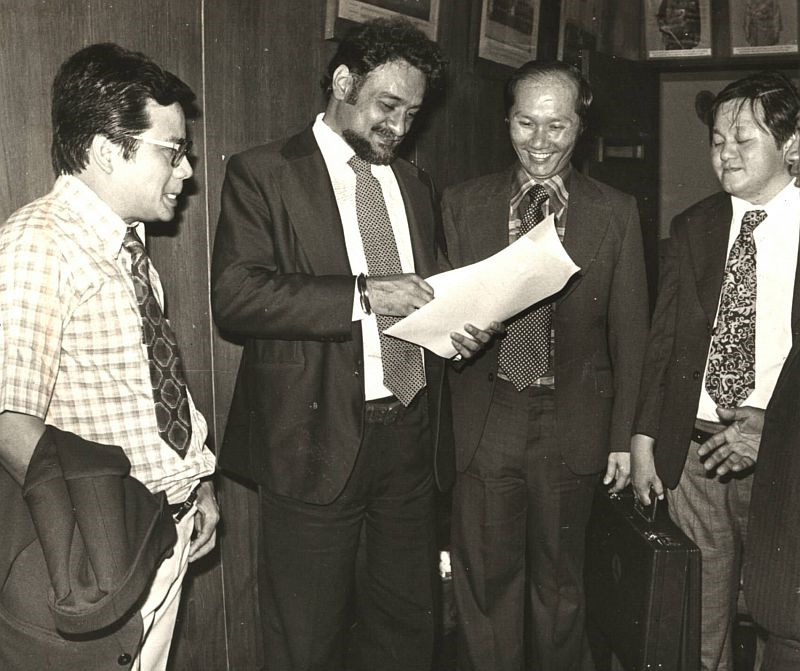 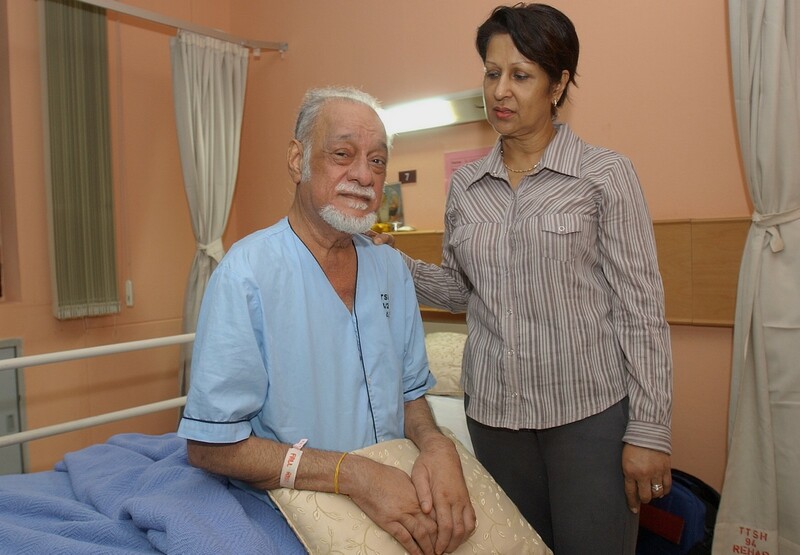 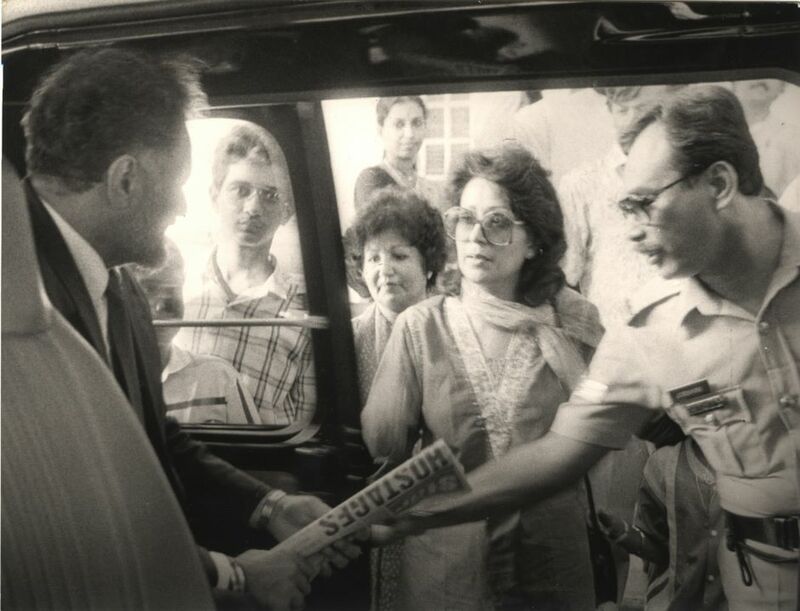 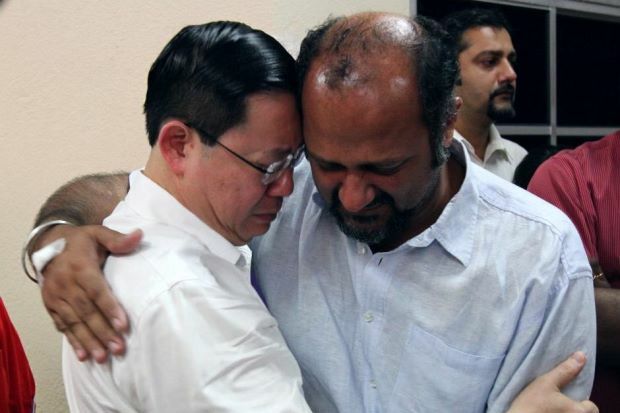 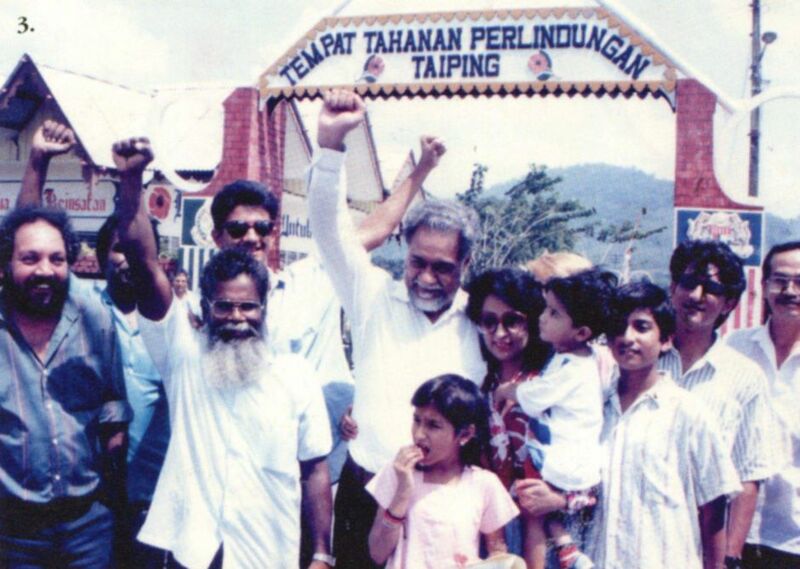 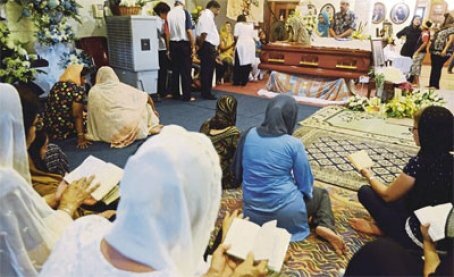 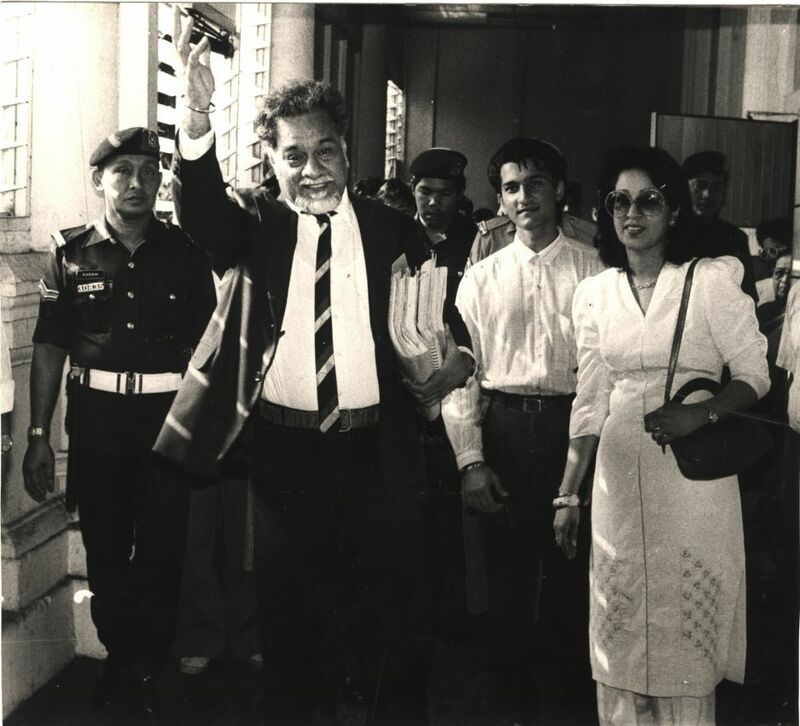 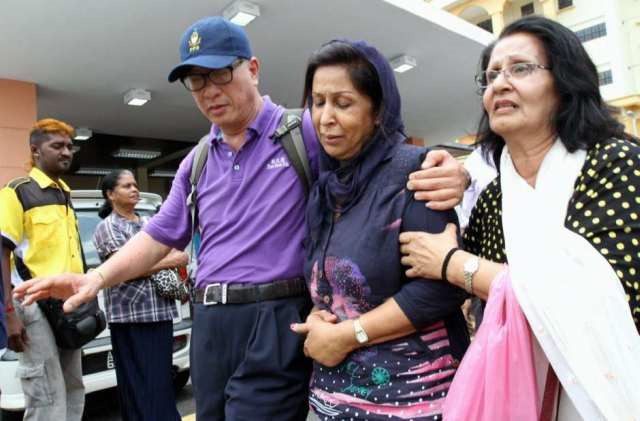 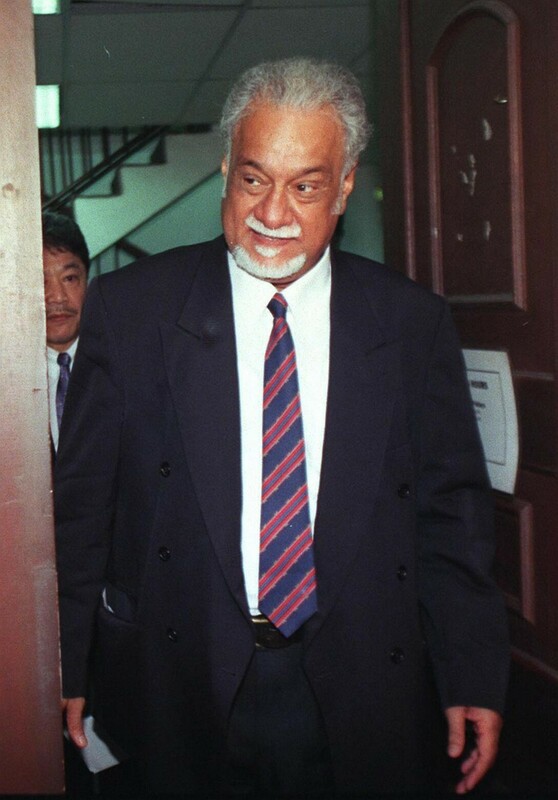 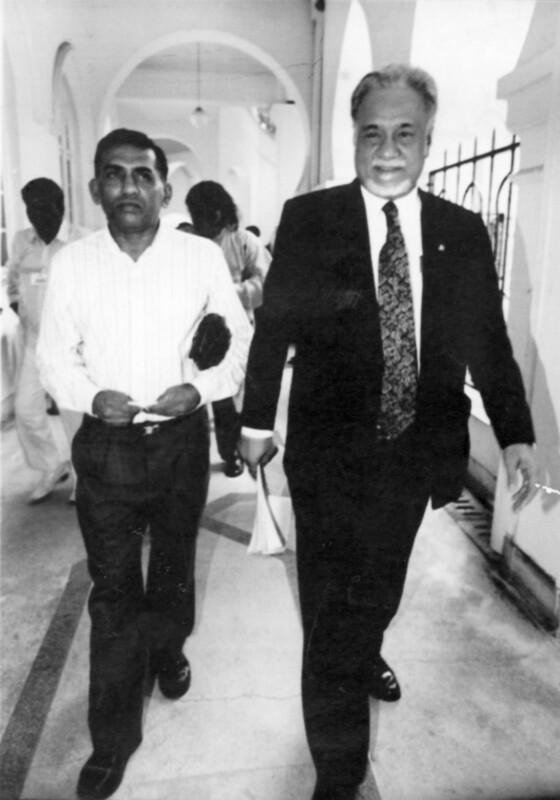 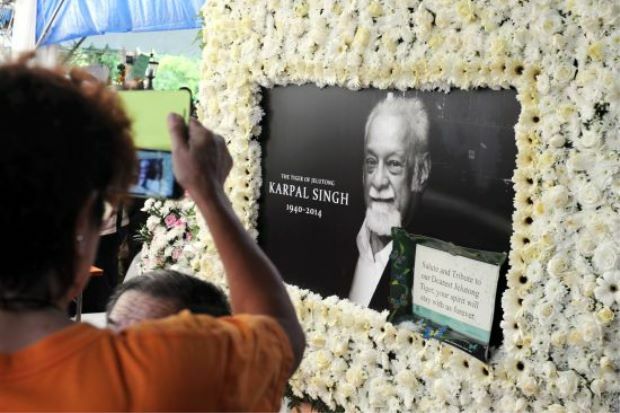 Jagdeep then appealed to the reporters to give the family members some time to be with the late Karpal's ashes. 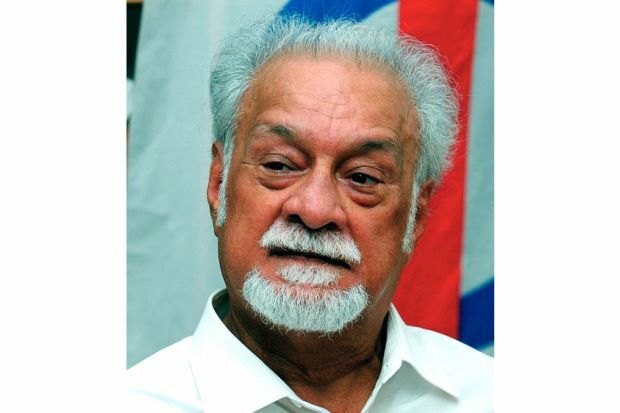 "I hope you all will respect Karpal. 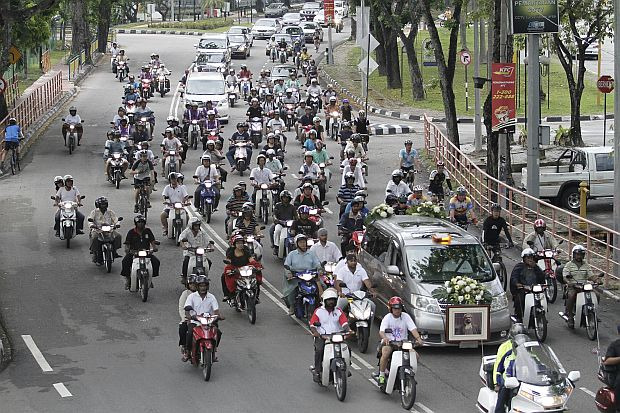 I think you all love him and miss him, right? 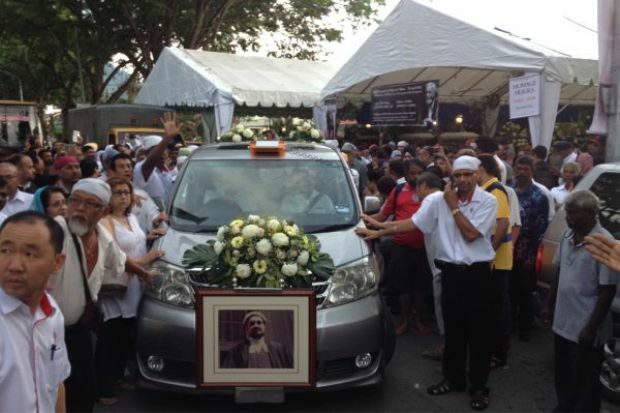 "He is asking you now, please give some time to my sons, my daughter and my wife," he said politely. 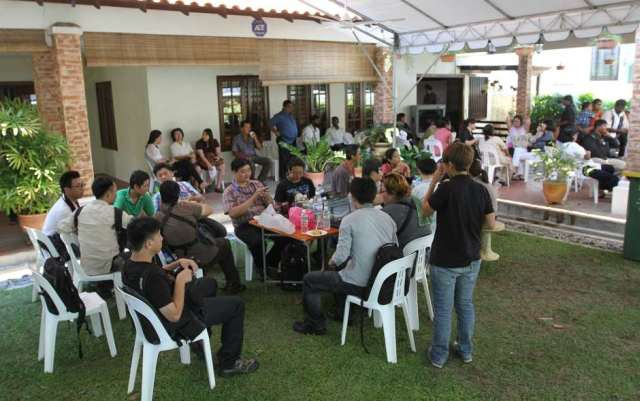 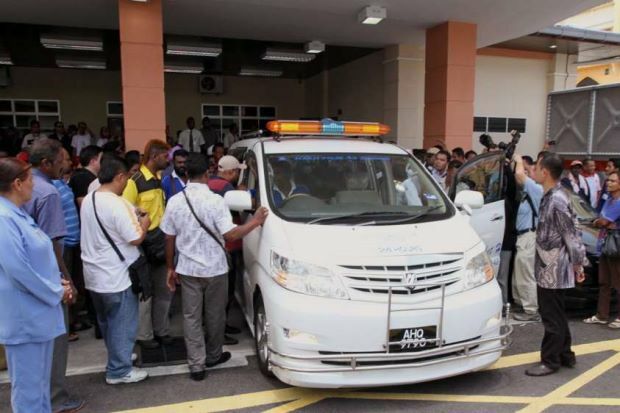 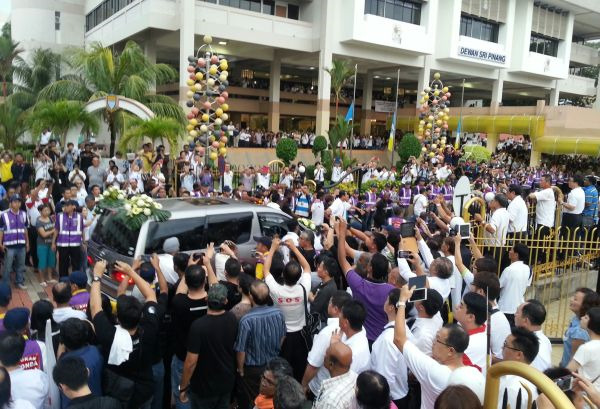 The press members obliged and left shortly after as a sign of respect to the "Tiger of Jelutong". 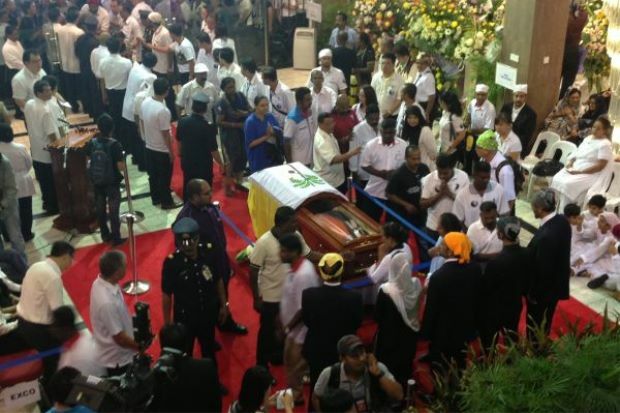 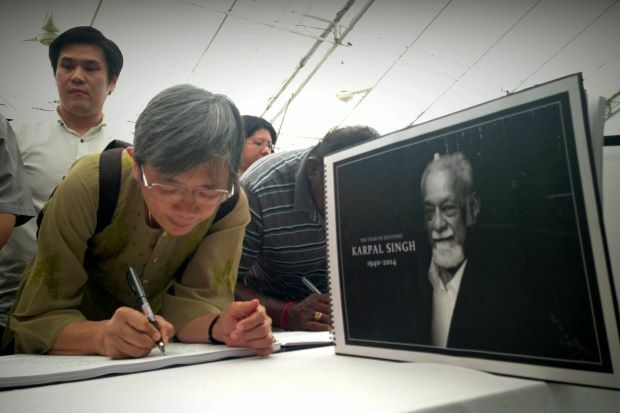 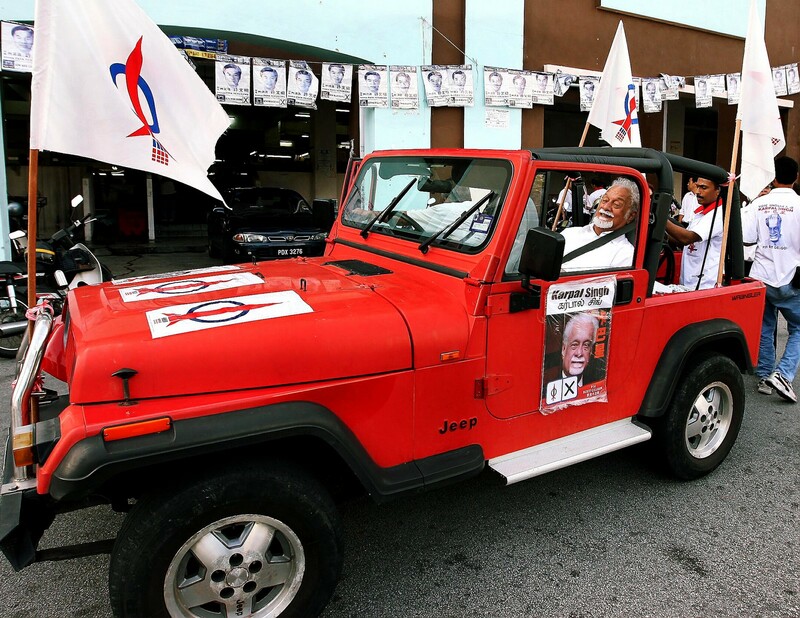 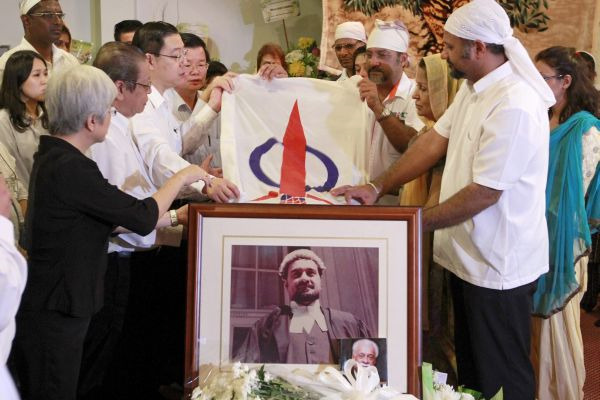 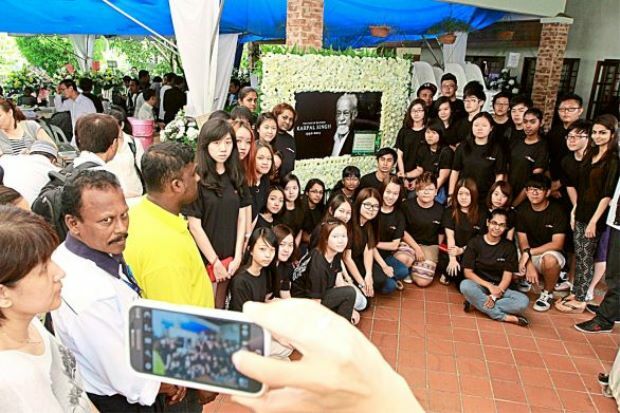 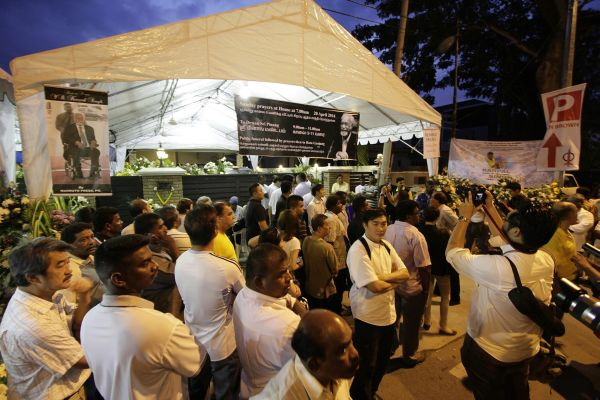 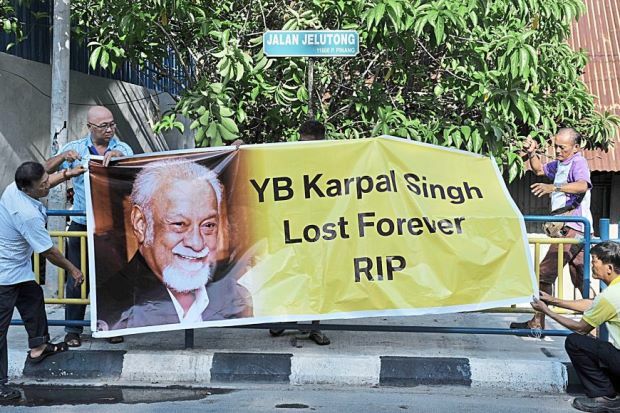 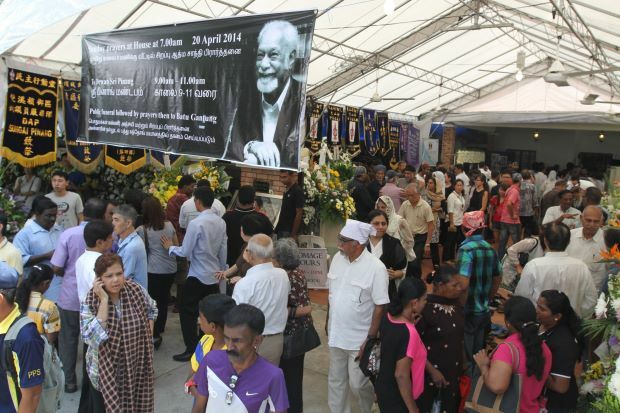 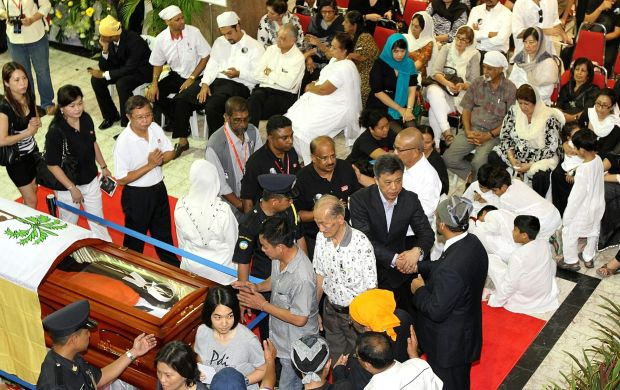 Karpal's funeral took place on Sunday with 25,000 people cheering, clapping and chanting "Karpal Singh! 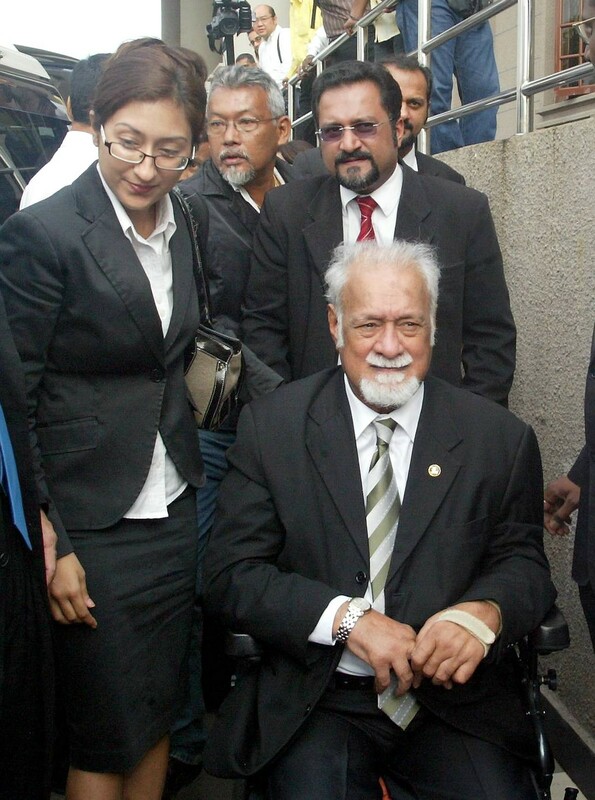 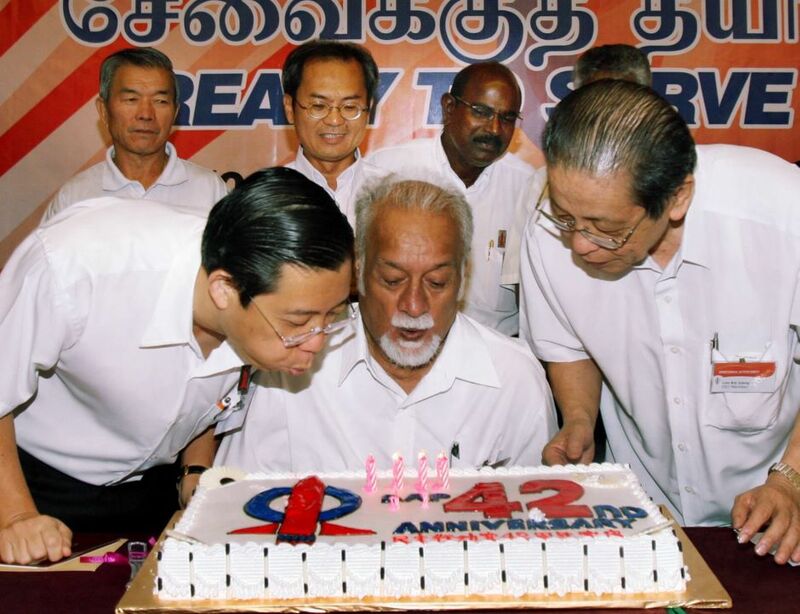 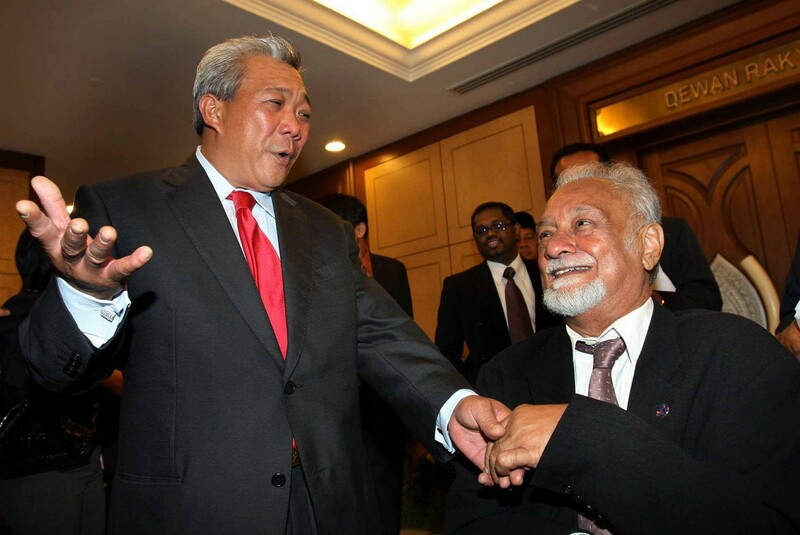 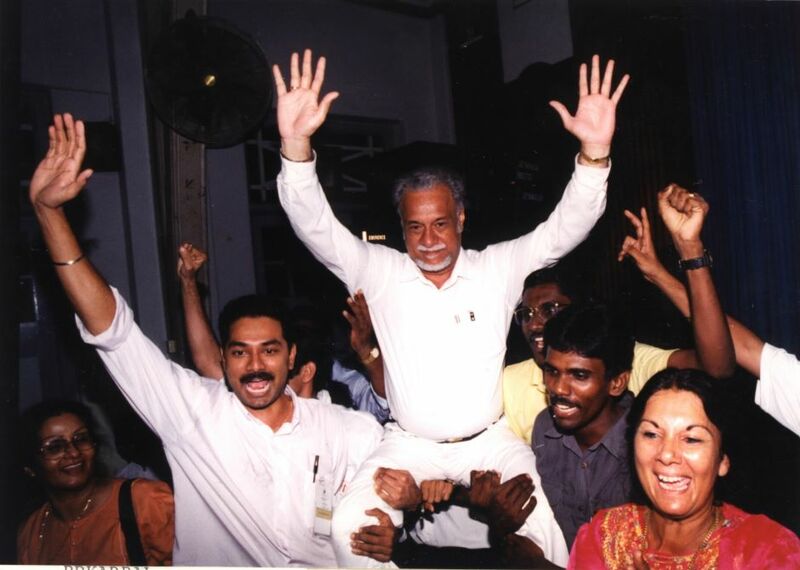 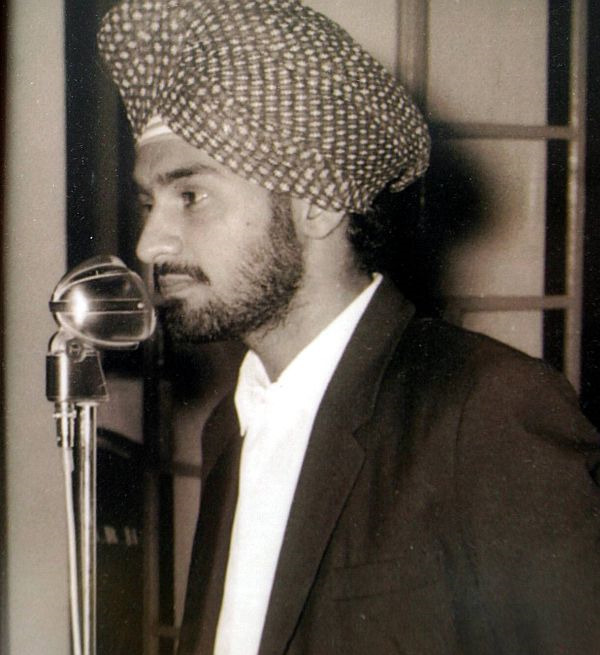 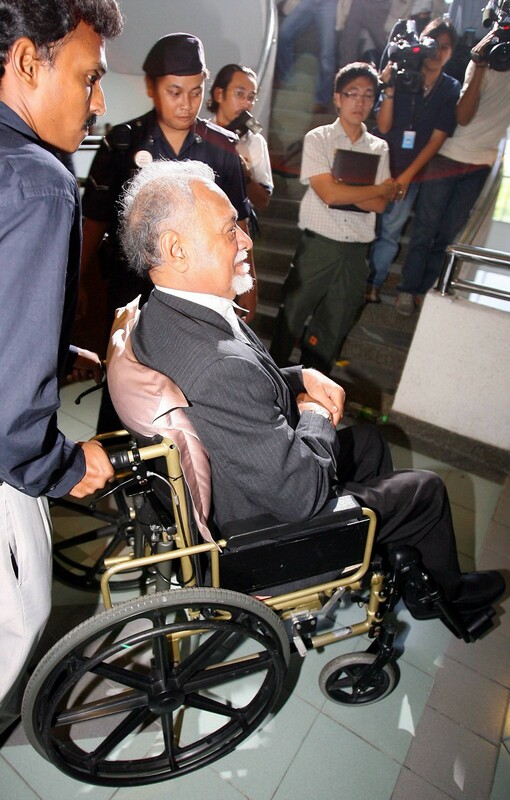 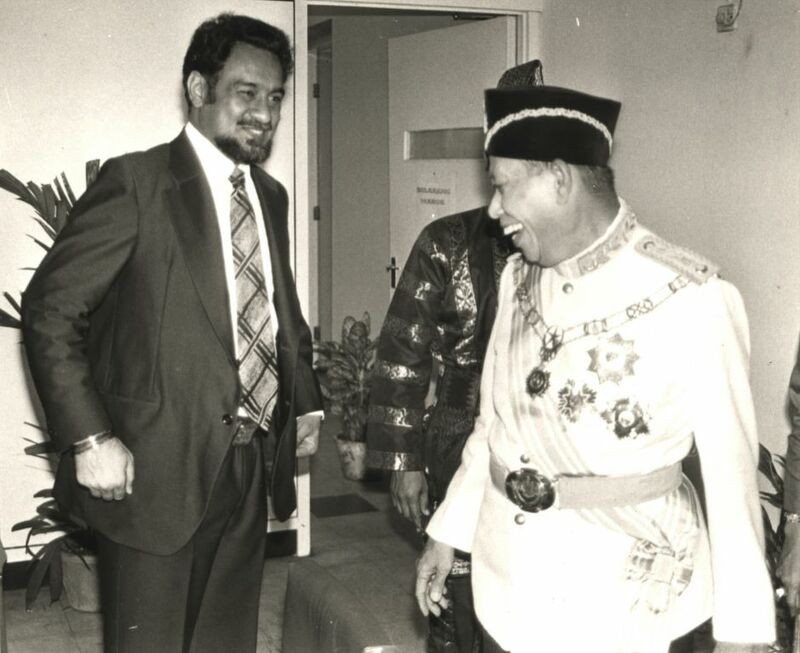 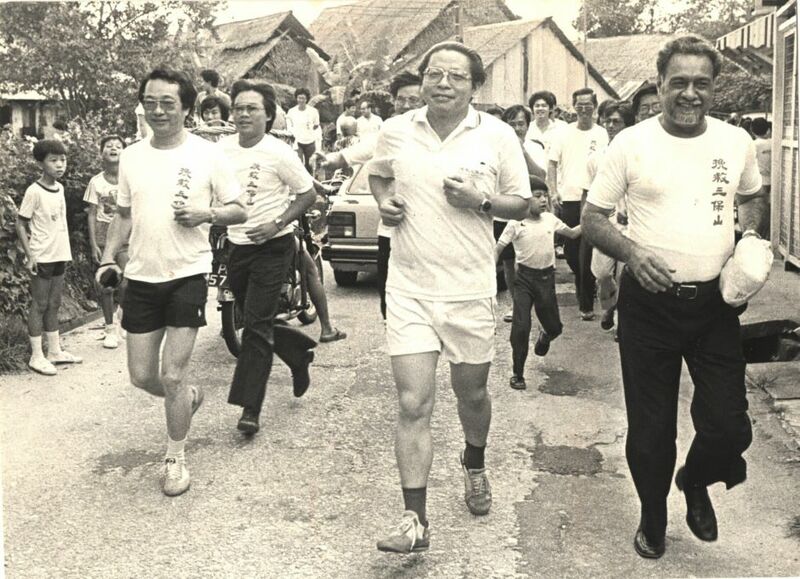 Karpal Singh!" 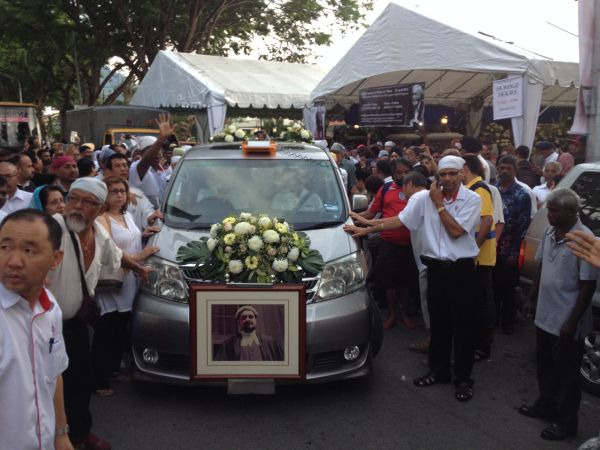 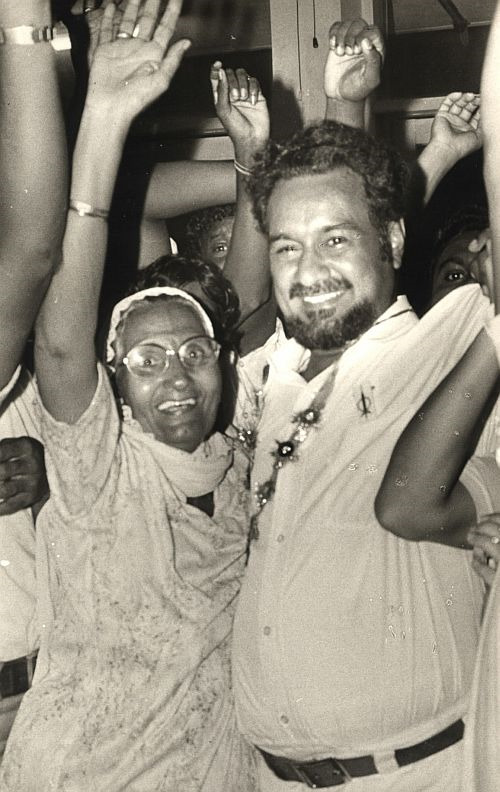 as his hearse took to the streets of George Town with state honours. 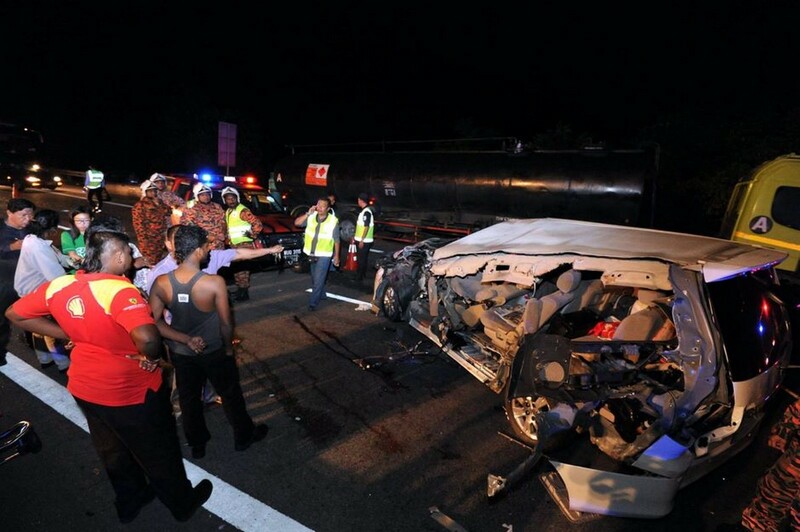 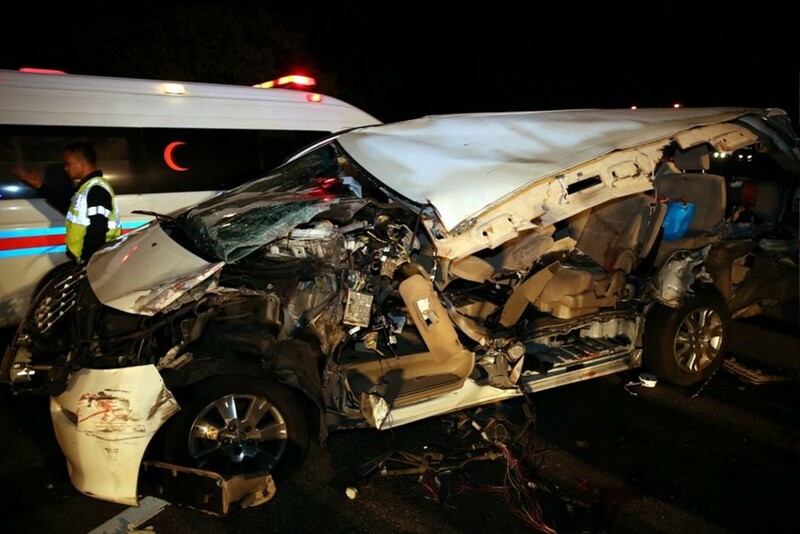 The 74-year-old Bukit Gelugor MP was killed when his Toyota Alphard collided with a five-tonne lorry at Km306.1 of the North-South Exp­ressway near Gua Tempurung on Thurday. 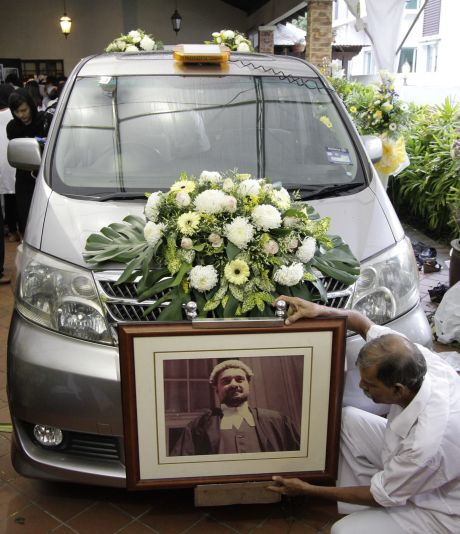 Also killed in the 1.10am accident was the veteran politician's personal assistant Michael Cor­nelius, 39. 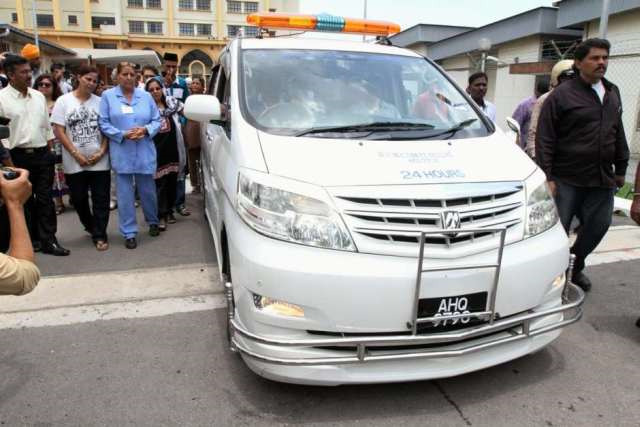 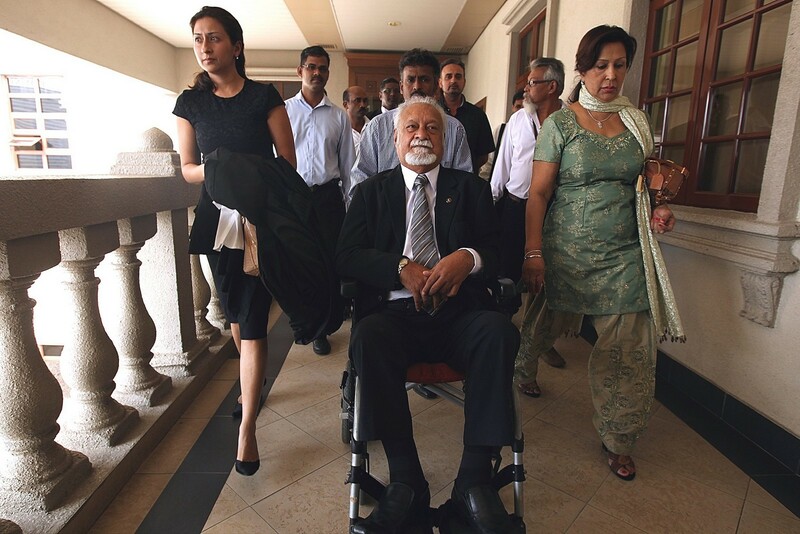 Karpal's son Ramkarpal Singh, 38, and his driver C. Selvam, 27, were unhurt while his Indonesian maid suffered serious injuries. 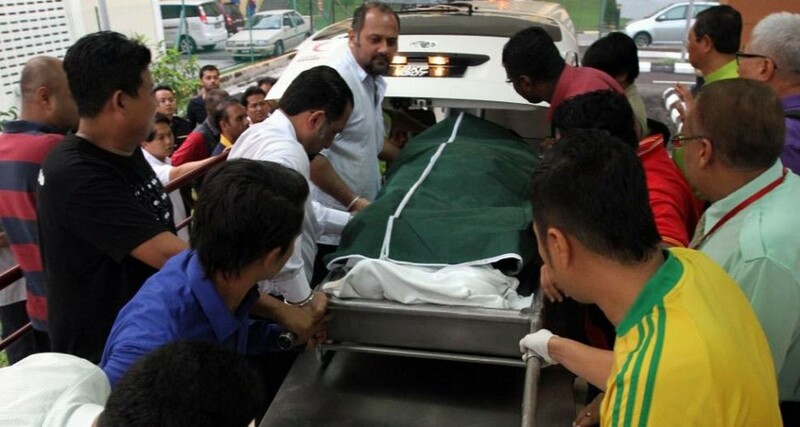 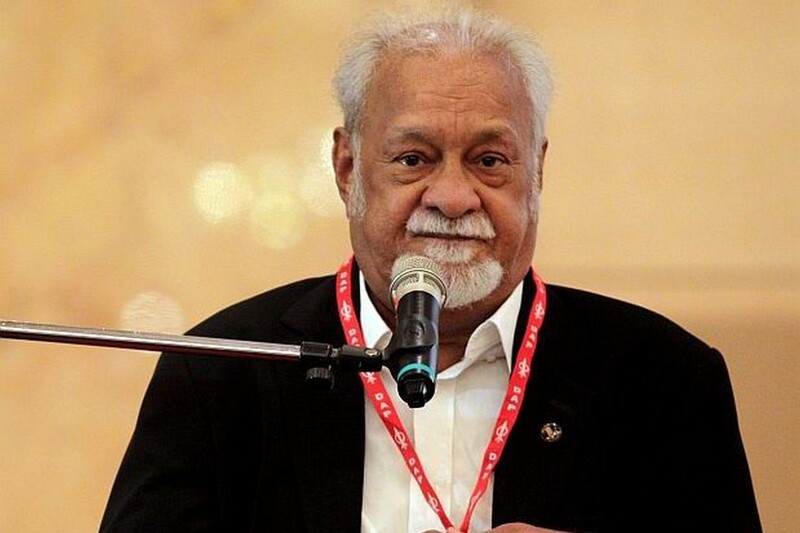 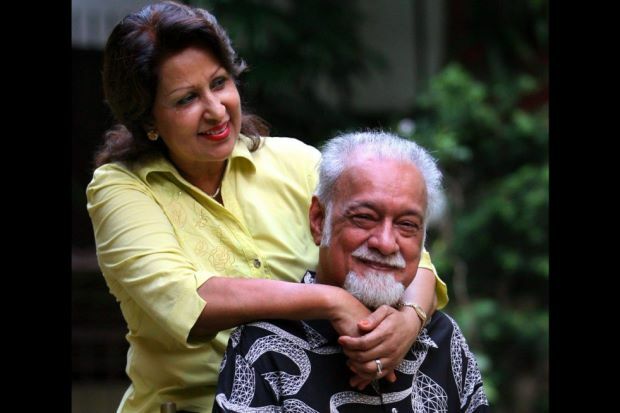 Karpal leaves behind wife Gurmit Kaur, 66, and five children - Jagdeep, 43, Gobind, 41, Ramkarpal, Sangeet Kaur Deo, 34, and Mankarpal, 26.